#10: AUTONOMOUS Vehicles (AV) will REPLACE Transit. Boarding Times go way down. All get a seat. Park when not needed. #9: New AV MINI Transit will Have Flexible Transit Routes, More Roads Serviced. The smaller footprint will allow travel on narrow streets and make tight turns as needed. #8: New AV MINI Transit will be APP based, and adjust to Rider Peak Demand. When the peak hour is over, MINI Transit AV cars will park and save energy, or be repurposed for private rentals as needed. Riders can be picked up at current locations, and AV MINI Transit will only need to slightly stray off course to accommodate. Since 5 or 6 AV cars will replace one large bus, pick up times can be optimized as only a few passengers get on or off AV car at a time. Speeds are increased. #7: AV does not need a 12 foot lane. 7 feet will do. Capacity will more than Double. This means that capacity will DOUBLE with the extra widths, and triple on that double by shortening headways between vehicles. These shorter headways can further increase capacity by 3 to 6 times more, for a total increase range of 6 times to 12 times more capacity on roads, just because of AV. #6: AV protected corridors will emerge, no PEDS or bikes. Parallel roads will be Pedestrian and Bikes only. With the vast increases to capacity from lane width reductions and headway shrinkage due to connected vehicles (CV), less roads are needed for vehicle throughput, and these roads can carry more traffic, but in a protected corridor like trains and subways are protected. This means that many other roads can become car-free without sacrifice to capacity and regional vehicle throughput, and can be used for slow/safe bike and ped trips. AV can interface with these car free streets from slow speed side streets with culdesac turnaround, but not enter the bike/ped streets. #5: AV vehicles will run on dedicated new infrastructure, with no signals. With Autonomous Level 5 and higher in place, there is no need for human drivers, and no need for visual guidance signs, signals, or crosswalks. All can be accomplished through special smart infrastructure, or by GPS-based mapping. Since pedestrians will be on different streets, the AV corridor can be optimized for vey high speed and efficiency all while being even safer than before AV, because the human element for error is gone. try to ignore that this is a photo of a people mover at an airport, and IMAGINE it instead being a high speed corridor with cooler looking AV cars going 100 mph or more between stops. THAT's the future. #4: Infrastructure at intersections will be grade separations. Plastics can be used to quickly and inexpensively create elaborate grade separation infrastructure at larger intersections to keep all traffic and turning movements moving. All AV modes of traffic would be separated completely from pedestrian and bike modes. There will be no human element of error to introduce accident situations between cars and pedestrians. All traffic will be in constant motion for all of the potential 12 THRU/TURN movements at the intersection. #3: AV vehicles can be repurposed, especially private AV. With private ownership, and even shared, an AV can be configured as a room for many different purposes. It can be an office, a mini-motorhome, a mini hotel room, an entertainment center, etc. It can have closets of needed and regular supplies, and go park itself at designated locations when on a trip, after dropping you off at your destination. This will potentially disrupt the hotel industry by making it possible to sleep while you travel, and not on a plane. #2: AV vehicles can be configured as delivery vehicles, all sizes and shapes. With an electric motor and battery, an AV delivery machine can be large or small, fast or slow. It can be privately purchased so that businesses can have their OWN delivery fleets and charge customers directly. It will give Amazon a run for its money, which is a good thing. Numerous small business delivery companies will start. #1: AV vehicles will bring the long awaited advent of Vision Zero. With the human element, the accident element, removed from driving of vehicles, they won't crash. 40,000 deaths per year in the USA from vehicles will go to ZERO. With bikes and peds separated from AV dedicated corridors, and with the emergence of new car-free corridors all over parallel to AV corridors, we will finally see cyclists and peds SAFE from high speed collisions with cars/trucks/trains. #10: AUTONOMOUS Vehicles will REPLACE Transit. Boarding Times go way down. All get a seat. TRANSIT today is for the AUTOLESS situations in life. But the CAR when available has always been for everybody, very convenient, no matter the social standing. In fact, even Kings and Heads of State or Movie Stars will always be seen in some form of a car, especially a luxury car, and probably a private gas guzzling jet with huge carbon footprint. The car is here to stay (especially if kings, politicians and heads of state have anything to do making laws establishing the AV as the future of motorized surface transportation based on safety alone). A bus is HUGE (350 SQFT) and takes much more time to stop than a small vehicle. You also need big parking spaces for loading and unloading, or storing, space that is hard to come by in today's crowded streets and cities. Sometimes you must wait long times for all people to board a bus, and you may not GET on board if crowded. Think China where this is a daily occurrence. While living there myself for years, I have literally waved a bus on, as it would be impossible to squish in and have the door be able to close, these buses were literally packed, and I'm not going to Bus-Surf*. Loading can take a minute or more. It's coming... no, its already here. Average footprint for cars = 15x6 = 90 SQFT. Here is a sample of what NAVYA has been coming up with. An interesting small footprint minibus that is autonomous. Some Bus Concepts are So Expensive. At the same time, are inefficient, inconvenient. 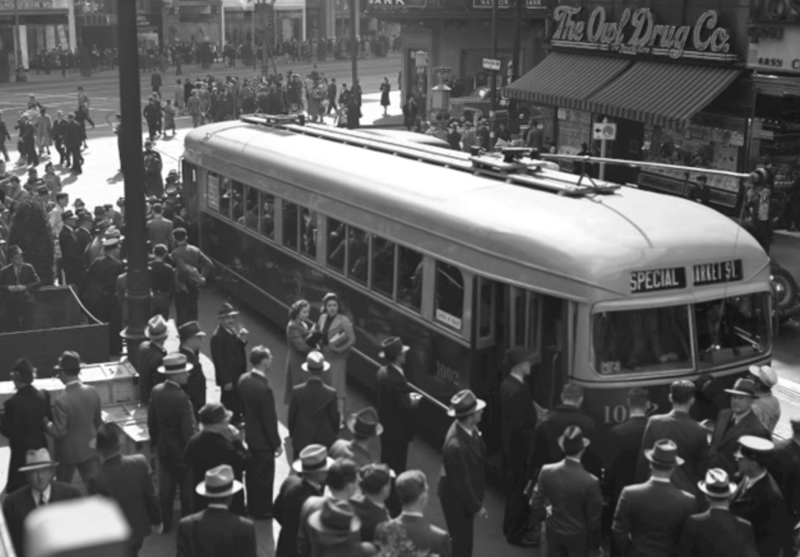 A bus' sheer size is and always has been a HUGE IMPACT to society's road systems. So consider breaking the size of such a bus down into several mini autonomous transit vehicles that can serve as a replacement to current behemoth transit vehicles (which are outdated ideas really), and let a new system work as individually summoned smart and efficient transport, or act as part of a team (think minibus convoys) when larger groups of people want to literally travel together such as a school class or a corporate function. Numerous minibus transit vehicles all show up at once, maybe in a convoy, and everybody boards. Not one door to get in, but a double door for each minibus vehicle. Fast and efficient to the destination, traveling on any route, even narrow roads or alleys, because this minibus transit convoy is not limited to just the main streets parking lots. It can offer door to door service. It can even split up to let passengers embark or disembark in more than one location, and then join up for the trip, and on the return trip, break up and deliver passengers to numerous locations. Fast and convenient. Environment context sensitive. And able to navigate any street or turning movement because of its vehicle component size. ​A bus is huge with wasted space for aisles (compared to cars which don't have aisles), the amount of roadway square footage used by a bus is about 400 square feet (see photo of AV Mercedes bus, a modern work of art, yes, but shows luxury seating capacity of about only 15 seats). But when compensating for "safe" 2.5 second headways a large bus needs about 450 feet in front of it for a human to stop in time at 40 mph. This is about 50% more stopping distance than a small car needs (which is 300 feet at 40 mph), because of its massive weight. Adding the bus' 40 foot length to the 450 foot needed headway for stopping, a bus today needs about 500 feet of roadway lane length, and that's a lot. A car needs 15 + 300 or about 315 feet total length to have a 2.5 second headway at 40 mph. When AV is considered, the Perception Time and the Reaction Time are significantly reduced, and if working properly, eliminated. Some tests show best case braking times for high friction roadways to be as low as This means a 15 foot AV car should be able to stop from 40 mph within 155 feet from when brakes are applied (using formula below) if it had no skill. But because it is a robot, it theoretically could shave this distance in half*. where V=mph for Design Speed (Caltrans HDM Ch.2). and is "ZERO" in this case for an AV. LA METRO recently spent about $670,000 on a single 45' bus! ...that is just TOO much money spent on an inefficient vehicle, in an inefficient system. It is lacking the "bang for the buck!" LA METRO ridership is also down 15% lately, an indicator of the local citizens desire to choose a more convenient and efficient mode of travel. When AV comes of age, and in some locations it already has, and people can summon a transit vehicle, by APP, to their current location, their front door, or for a friend or family member who needs a ride, we can expect a mass exodus from just about ALL mass transit large vehicle systems. These are going to ride empty. Maybe need be re-purposed, somehow, maybe as long distance AV transport like a train. We should be planning for big change. I saw this, and I will call it the huge GREEN SLUG, and while it is an improvement on light rail fixed tracks, being more flexible in adjusting routes for instance with paint, it hogs the road space and bigger isn't necessarily better. In fact, smaller is better because small is more flexible, has more options. This huge thing traveling on the roads also looks like an accident waiting to happen. How can it possibly keep pedestrians safe with so much real estate to watch over, and making bending turns, etc.? It shares the same space with where pedestrians can walk. Look at the photographer. What if vandals paint new tracks in the night? Seems like a vulnerable idea on several fronts. So this fancy looking car concept of the future could probably stop in just 50 feet under autonomous control from 40 mph and save that errant pedestrian or cyclist, or car. But you just might spill your coffee or fly out of your seat while it does. As long as their are humans or animals in the transportation system, you'll need to buckle up. At some day in the future, the system will transform and pedestrians will no longer mingle with AV vehicles. At that time, we can expect the 40,000 deaths in the USA alone in auto related deaths to completely dry up. This is the TRUE VISION ZERO. and aisleways jammed with standing people. Also, people must have taken their sweet time about it. Novelty and all. Today we don't have time for that kind of nostalgia or novelty. We want efficiency, not a traffic jam. We want convenience, because today with technology, it is easy to have convenience. With electric AV we can also easily save the planet by keeping air clean, noise down, etc. Safety at a premium. PROS... and CONS... of MINIBUS AV TRANSIT. If ubiquitous, these could be like the "people-movers" of yesteryear, except these would go faster, be on a GPS path, and could leave the path (and convoy) at any time needed. 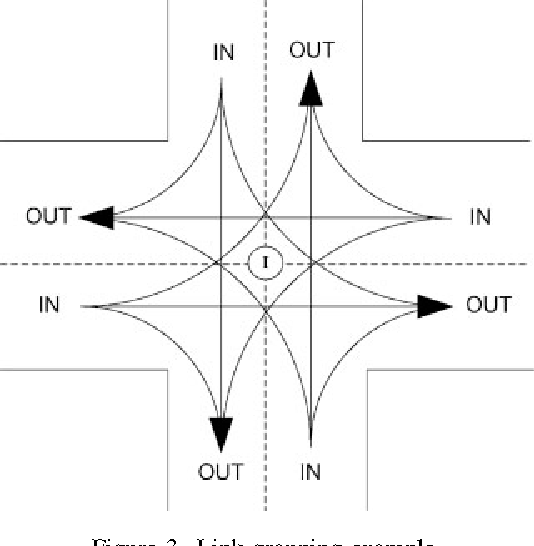 Flexible, and much more efficient through intersection nodes. No human drivers to slow things up, honk, or crash. 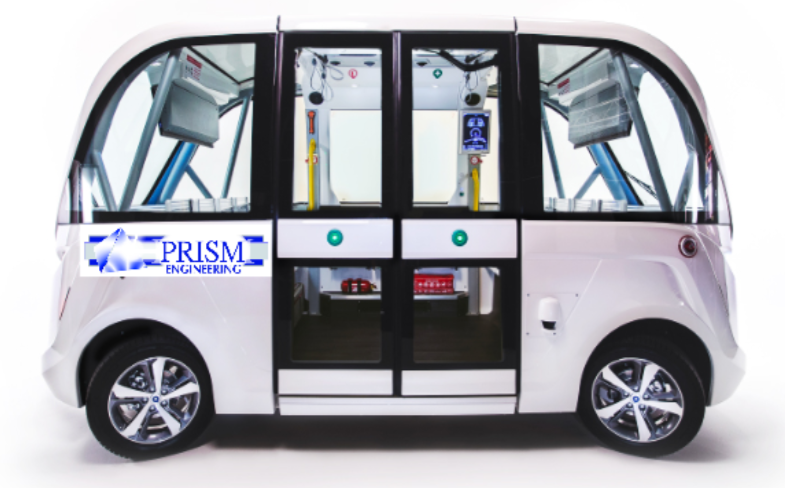 ENVISION: Minibus transit cars with coordinated AV, traveling as a convoy, with ability to carry large groups together, or to facilitate efficient headways (shown) and maximize capacity in the lane increasing throughput while always autonomously paying attention to safety! Fences or pedestrian barriers will need to go up, to prevent J-WALKING and accidents with other modes. Minibus TRANSIT can be given priority at intersections through AV technology. Convoys can share lead vehicles sensory data so emergency stop decisions can be shared. NOTE: These distances are for an EMPTY TRUCK. If filled with more weight, these numbers will increase. 500 feet is therefore conservative as a total SSD for trucks and large buses. 1 MINIBUS AV TRANSIT CONVOY w/22 minibuses and 176 seats, nearly 5 times as many seats. Each MINIBUS AV TRANSIT car can work independently, or as a group (convoy) with other AV minibus transit cars. Each convoy minibus AV would have very close spacing between similar AV minibuses (headway), a minute fraction of a second (like 5 feet distance), whereas for humans, a 2.5 second headway minimum is needed for perception & reaction times, or over 150 feet. Traveling at 40 mph is 59 feet per second. A human needs 2.5 seconds, or 147 feet of space between vehicles to be safe (the headway). An AV does not need this perception or reaction time like a human does, as it can compute MILLIONS of scenarios in a split second and choose the best option. A 5 foot spacing is sufficient. Whereas a regular bus would need about 500 foot clearance headways at 40 mph, A MINIBUS AV TRANSIT CONVOY would need only the braking distance for the lead vehicle (80 feet max), and all following vehicles can tailgate the lead vehicle. Any need to brake determined by the lead AV minibus will be passed simultaneously to the wirelessly connected trailing AV minibus(es) in the convoy, which would brake simultaneously! In the same 500 feet used by a large bus, a MINIBUS AV TRANSIT CONVOY can have 500 = 50+(15+5)*n where n is the number of minibuses. In this case, n = 450/20 = 22 minibuses, each carrying theoretically 8 people, for a total of 176 people, about 5 times as much as a bus with 35 seats! 5 times the capacity and efficiency over a traditional large bus. And faster, with more options for passengers. No aggressive human behaviors, no road rage, no honking, inattentiveness at green light. No errors in judgment in driving, no accidents, calm merging based on priority. Sharing of all safety and road situation data between connected vehicles, saving lives. ...sleep and be woke in time for your stop, by the AV minibus.